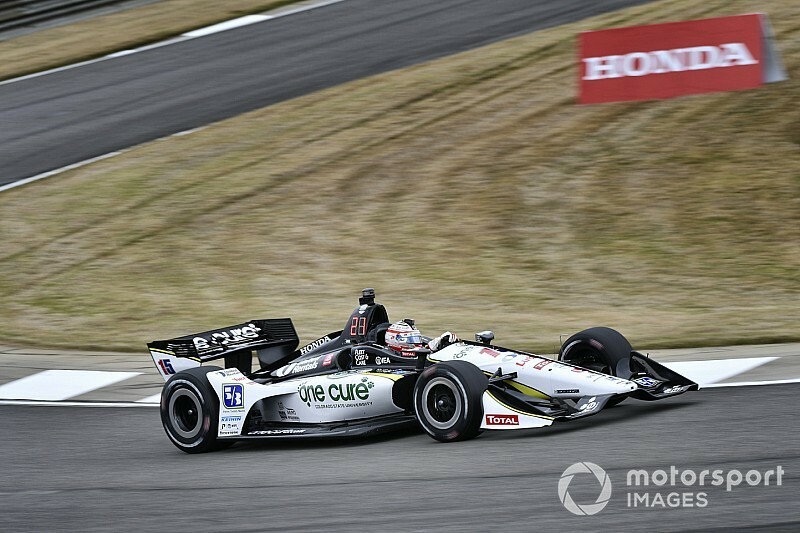 Graham Rahal, who will start his Rahal Letterman Lanigan Racing-Honda on the front row beside teammate Takuma Sato for this afternoon’s Honda Indy Grand Prix of Alabama, set fastest lap in raceday warm-up at Barber Motorsports Park. 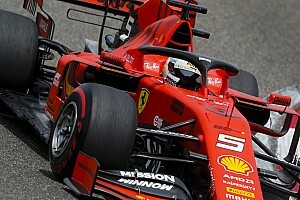 The half-hour session allows drivers to try used alternate [softer] compound tires as well as primaries, but Rahal topped the times with a 70.175sec lap of the 2.3-mile course, an average speed of 117.991mph. 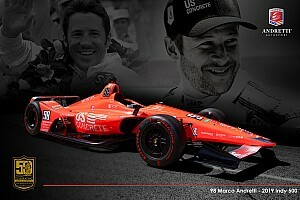 That was 0.1102sec faster than Alexander Rossi’s Andrettti Autosport-Honda, who was separated from his fourth fastest teammate Ryan Hunter-Reay by championship leader Josef Newgarden in the Team Penske-Chevrolet. 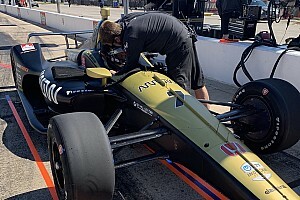 Zach Veach, who will be starting at the back, shook off his Barber blues – despite an off at Turn 15 that brought out the red flag – with fifth fastest time, as all the Andretti cars tried reds and discovered they hung on well over longer runs. 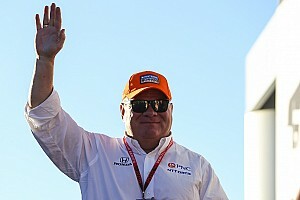 Jack Harvey claimed seventh with his 20th and final lap in the Meyer Shank Racing SPM-Honda, with polesistter Sato in eighth, Matheus Leist giving a boost to AJ Foyt Racing with ninth and Simon Pagenaud completing the Top 10. The race gets the green flag at 3.15pm local (Central) time.